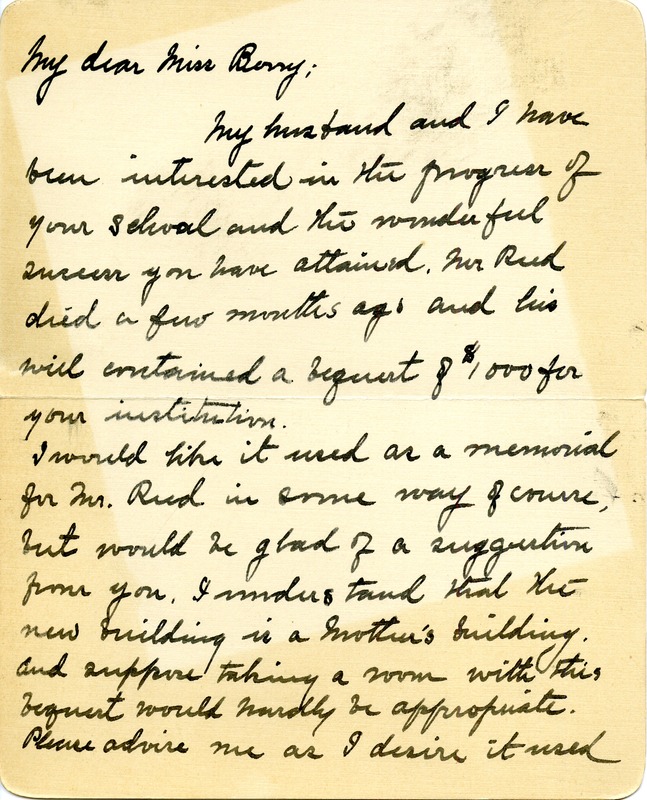 Reed inquires about the best use of a $1,000 bequest to the school from her husband. 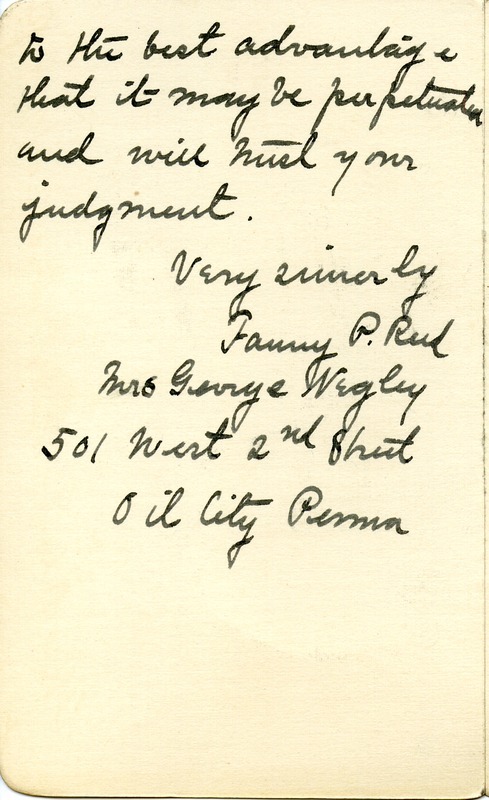 Fanny P. Reed, “Letter from Fanny P. Reed to Martha Berry.” Martha Berry Digital Archive. Eds. Schlitz, Stephanie A., Sherre Harrington, Meg Ratliff, et al. Mount Berry: Berry College, 2014. accessed April 19, 2019, https://mbda.berry.edu/items/show/13803.